Francesca di Paoli, a gifted yet penniless chef, arrives in Jackson Hole in 1925. 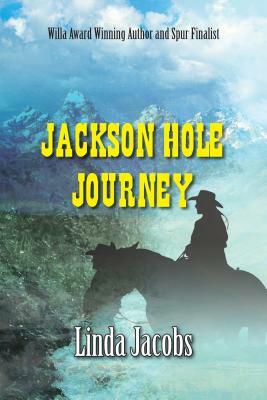 Rescued by William Sutton, the "steady" son of a dude ranching family, she begins to feel safe, until the historic Gros Ventre landslide buries her and William alive. Though they survive, the uncertainty in the valley, as a new lake forms perilously behind the slide debris, parallels the uncertainty of Francesca's fate. William saves her again, finding her work in the Suttons' ranch cookshack. There she meets William's brother, Bryce, a charming wanderer. William and Bryce, already rivals for their parents' approval, begin to vie for Francesca's attention. Over the next two years, valley ranchers clash over a Park Service proposal to extend Yellowstone Park south to Jackson Hole. Bryce comes and goes, taking a piece of his parents' and Francesca's heart with him each time. Yet, when the Sutton's Nez Perce uncle comes to the ranch to die, it is Bryce who helps nurse the sick man. William has never accepted his Nez Perce heritage and his uncle's arrival rakes up the ire of an unsavory contingent in the valley. Men like Dieter Gross, who disdain Native Americans and foreigners like Francesca, may well resort to violence if they discover the Sutton ranch's black foreman is seeing a white woman. Meanwhile the earth has not finished trembling, nor the river rising. When the flood waters retreat, who will be left standing? "Her grasp of Yellowstone detail is uncanny."